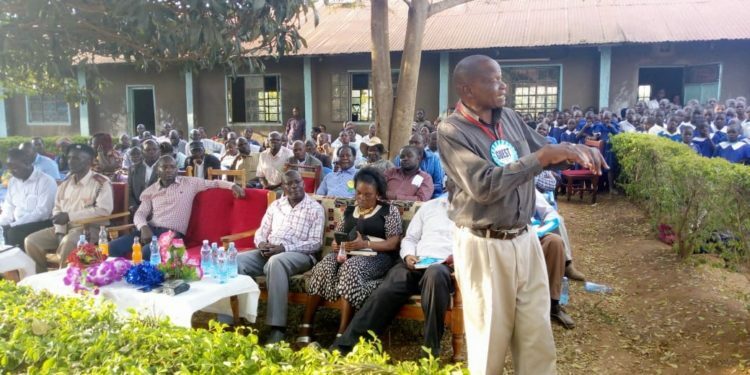 Kabuchai MP James Lusweti Mukwe has expressed his dissatisfaction with the academic performance in his constituency and has urged school heads to change tact in order to post good results. Speaking after traversing his constituency to launch different development projects, Lusweti said it is unfortunate that some schools with over two hundred registered Form Four candidates couldn’t manage to take even one to university. The Kabuchai MP said through the NGCDF kitty he has been able to sponsor different development projects in the school but if the teachers do not reciprocate by posting good results then it’s an unfortunate situation. However, he called upon parents to give priority to their children’s studies saying it shouldn’t be left to the mothers only to attend to the needs of school going children. “Most of the men have a hands off approach on matters regarding education of their children,since they have left everything for their wives to handle, which is very unfortunate ” he said. 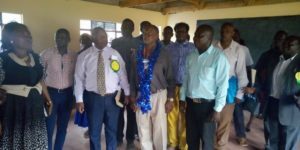 However he promised to continue funding development projects in the schools saying as the government dictates every child has a right of access to education. He handed over a brand new bus for Marobo High School which he said will be handy for the school trips and will also serve the community at large.